March is the month of Francophone, and in celebration of all things French, the Alliance Française, Durban invites everyone to come and enjoy a free day of cultural festivities on Human Rights Day, tomorrow, 21 March in their premises in Sutton Crescent, Morningside. Francofête de Durban shares a significant date with Human Rights Day where over the last eight years, the Alliance Française welcomes locals to a day filled with music, dance, food, art and craft. This year is no different, the grounds of the cultural organization alongside Sutton Park in Durban’s Windermere has a fun-filled line up that starts at 10am and finishes at 6pm. The morning is orientated more for family fun, with children’s theatre by Assitej SA, a dance performance by Vusi Makanya and the KwaMashu School of Dance along with kid’s activities taking place until 1pm. 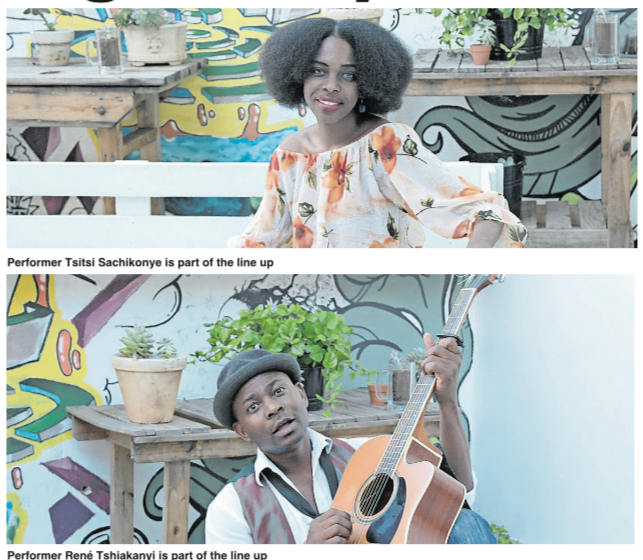 Kicking off the musical programme on the stage is renown performer, René Tshiakanyi who will be sharing the stage with the gorgeous Zimbabwean Tsitsi Sachikonye blending original sounds of cello, percussion and guitar. Congolese singer songwriter, multi-instrumentalist, Gloire Mapenzi and his “Black City Band” are the penultimate performance. Finishing off the day on a high note is the high energy Sun Xa Experiment. Director for the Alliance Française, Vincent Frontczyk said: “Our Francofête celebrates diversity and tolerance on the occasion of Human Rights Day and Francophone week, bringing together all walks of life in Durban, transcending through all cultures, generations, home languages and communities. Visitors feeling peckish can refuel at either the Alliance Café or one of the two food trucks that will be on site. Alliance Française would like to thank the Embassy of Switzerland in South Africa, Assitej SA, Black Coffee, Stratogo, the French Embassy in SA, The French Ministry of Foreign Affairs, eThekwini Municipality and the Alliance Café. The Alliance Française uses the annual Francofête as an opportunity to showcase some of the best French, Francophone and French-inspired food, music, art and dance.